We see fake punts all the time. Now we've seen a fake punt return. As if North Texas' afternoon at Arkansas wasn't already off to a good start Saturday. 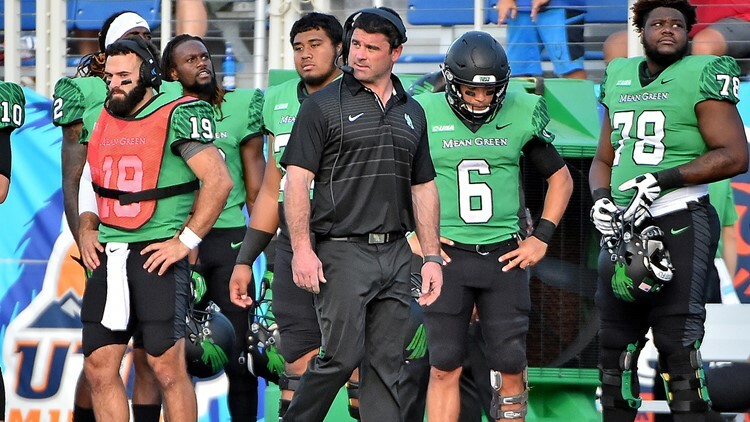 The Mean Green, up 7-0 in the first quarter against the SEC's Razorbacks, pulled off one of the more bizarre (and best?) punt returns you'll ever see. It started innocently enough, with UNT's Keegan Brewer settling under an Arkansas punt on the Mean Green's own 10-yard-line. Brewer caught the punt, no problem, before the Razorback defenders came to a halt, as they would for any punt returner who calls a fair catch. The SEC Network announcer then complimented Brewer for his "smart play" in calling a fair catch, and even Brewer himself started drifting toward the UNT sideline. Nothing to see here, folks, time for a commercial. We see fake punts all the time. Now we've seen a fake punt return, which should have no problem landing at the top of SportsCenter's Top 10.